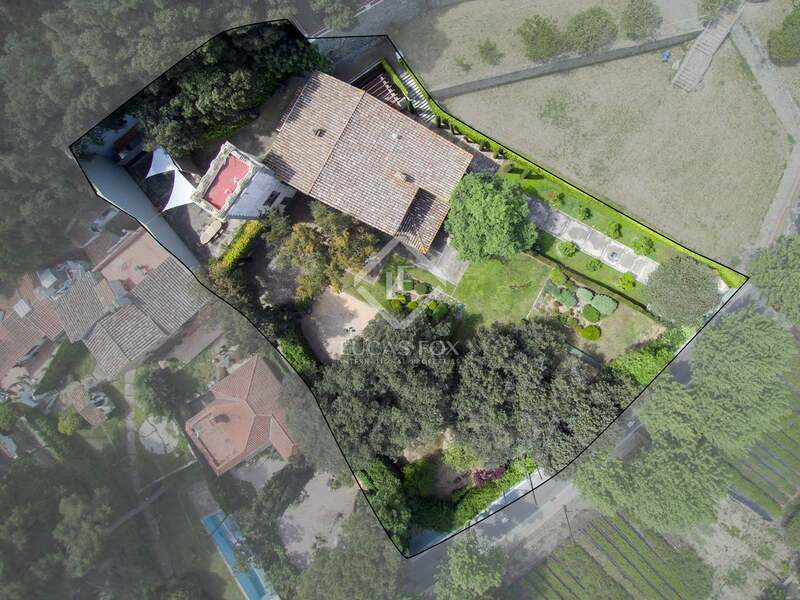 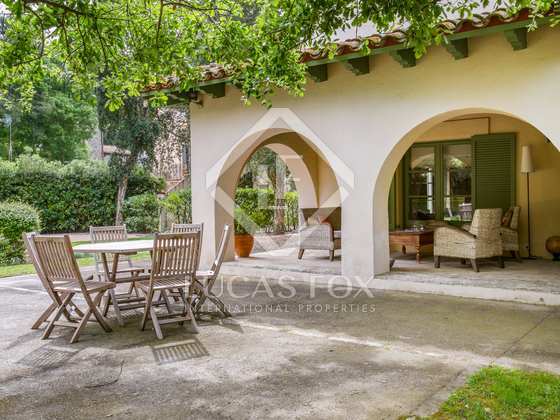 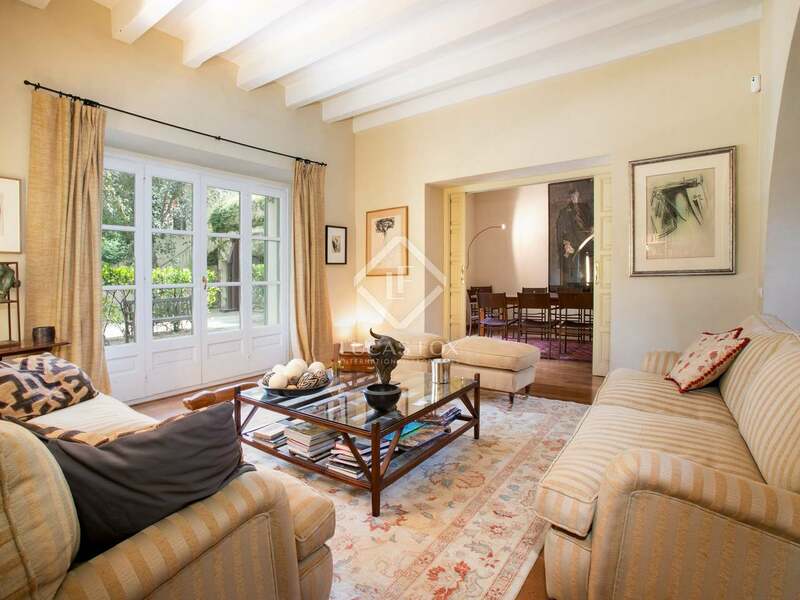 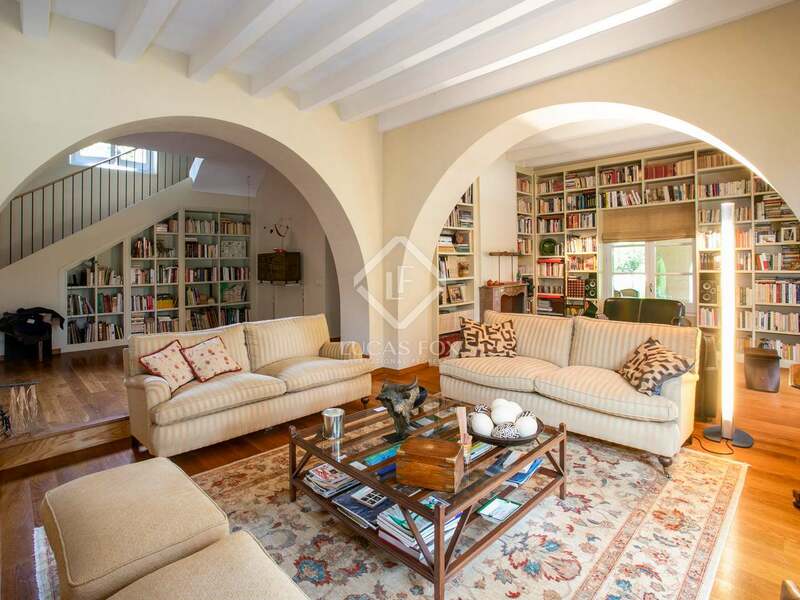 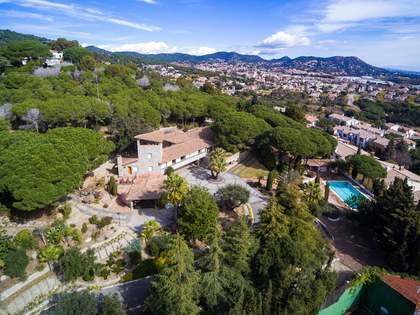 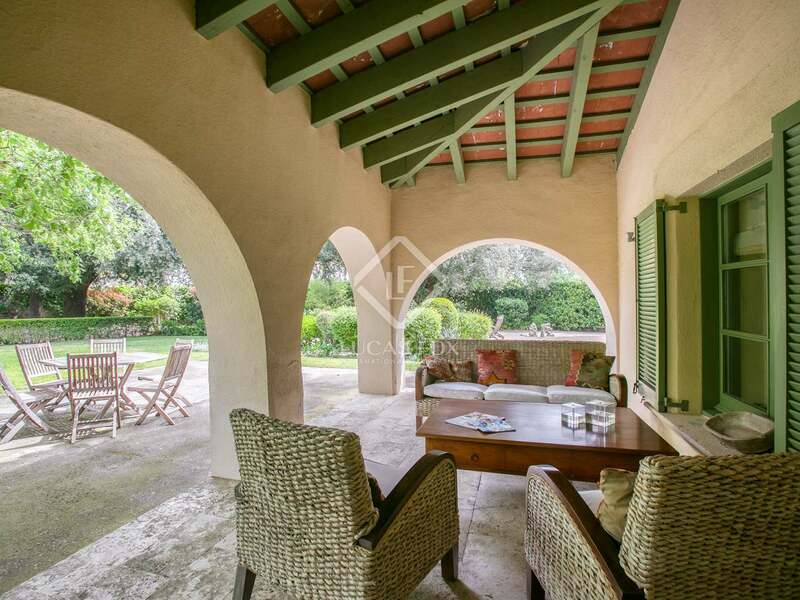 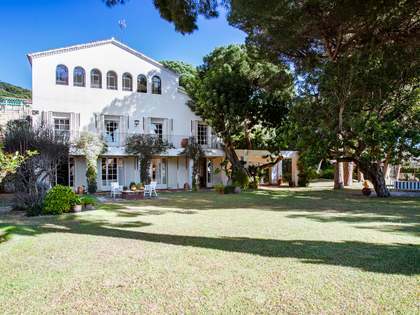 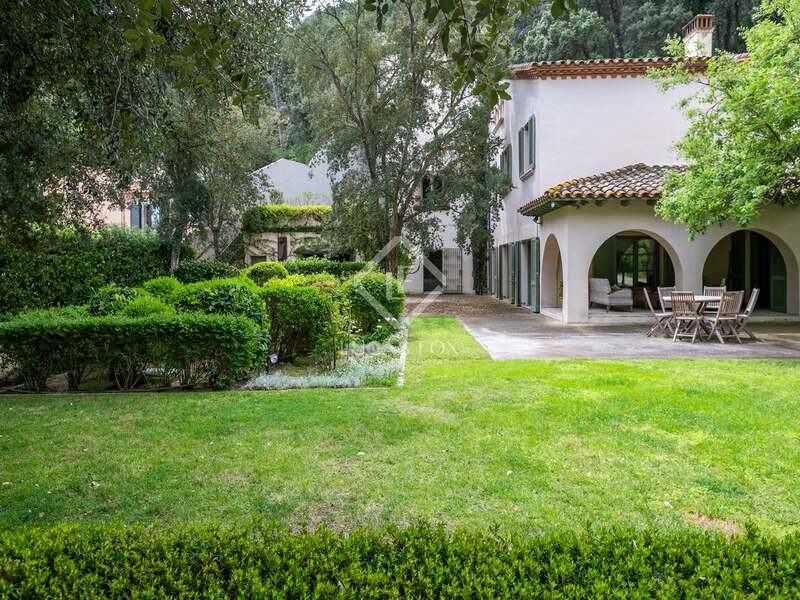 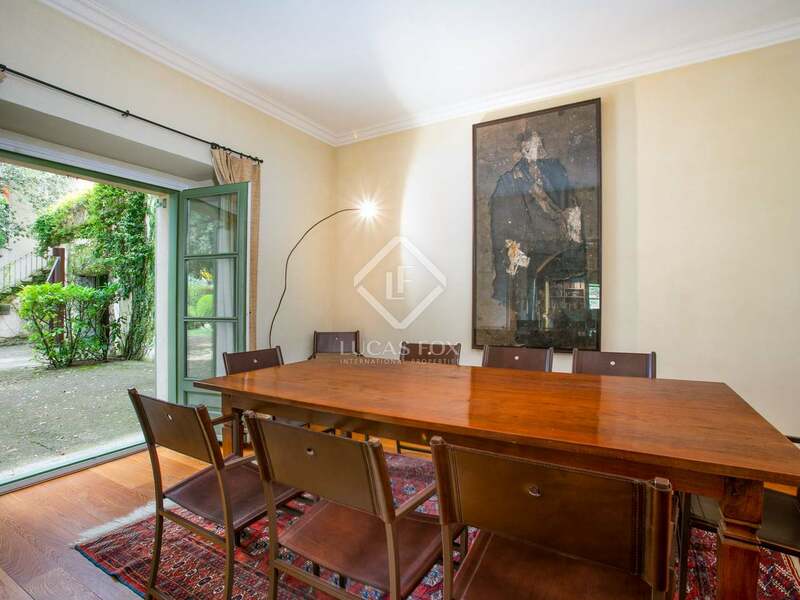 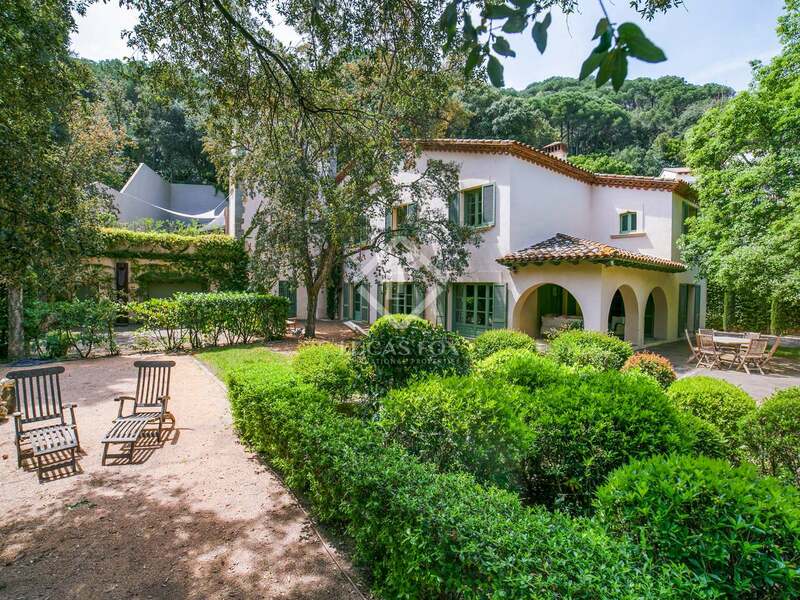 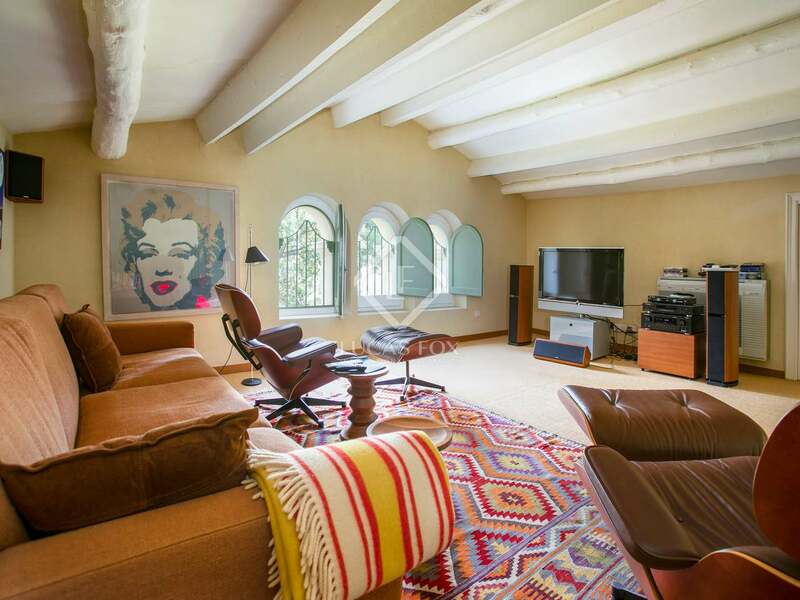 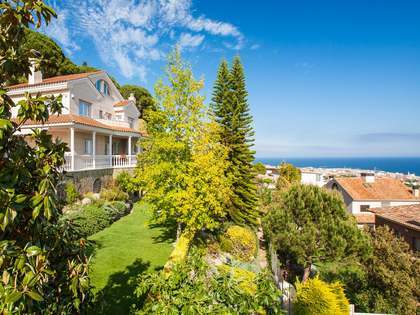 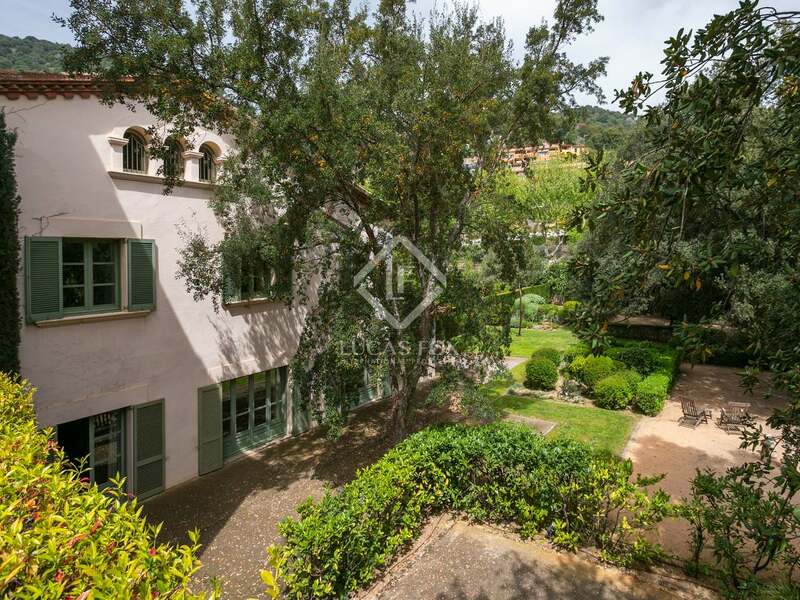 Located just minutes from the quaint centre of Premià de Dalt, the Serralada Litoral Natural Park and the Golden beaches of the Maresme Coast, we find this beautiful historic villa of 573 m² for sale on a level plot of 1,949 m². 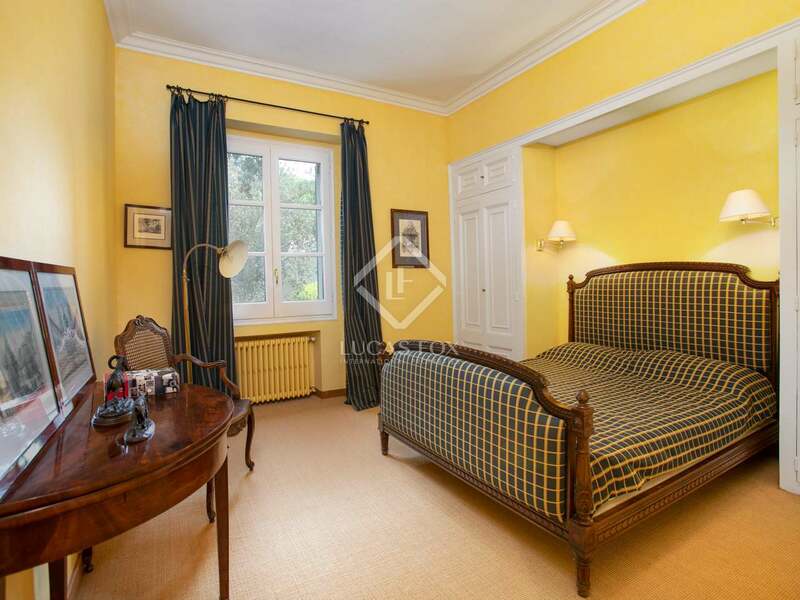 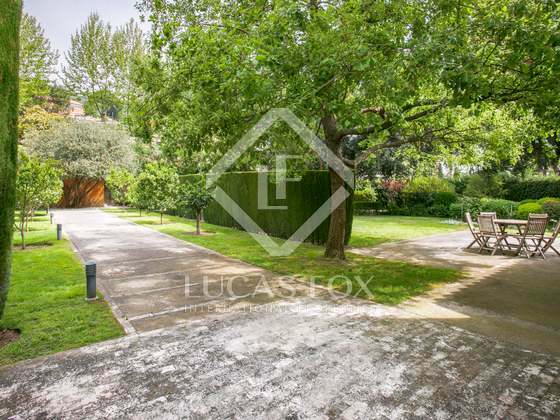 Built in the year 1900, this wonderful house is accessed via an elegant path leading to a magnificent landscaped garden where it would be easy to install a swimming pool if desired. 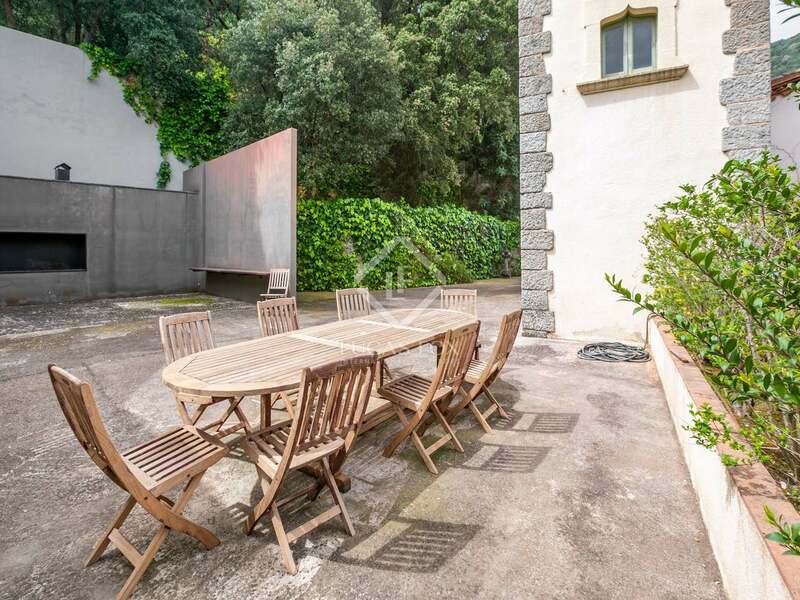 To the rear of the house we find a large barbecue area and to one side, attached to the main house, is an incredible 4-storey tower. 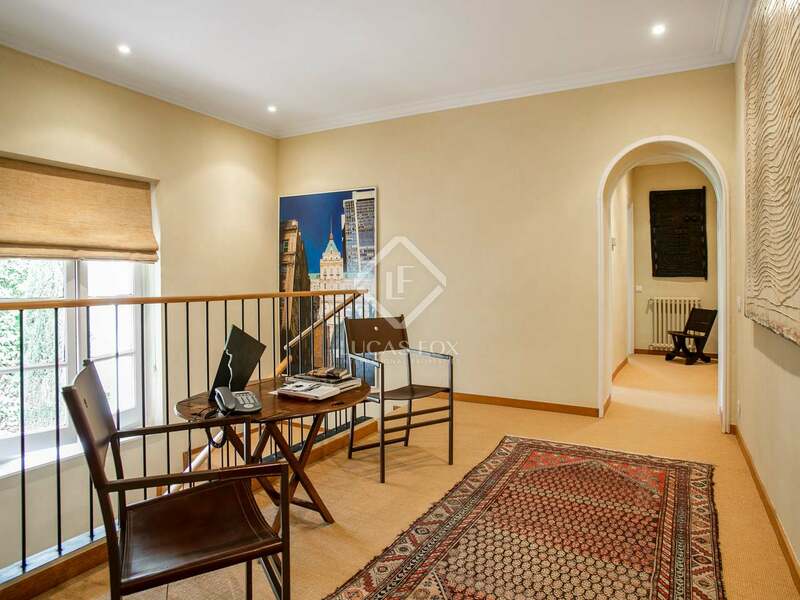 This tower has a room on the ground floor, accessed from the garden, and a living room / bedroom on the first floor which is accessed from inside the main house. 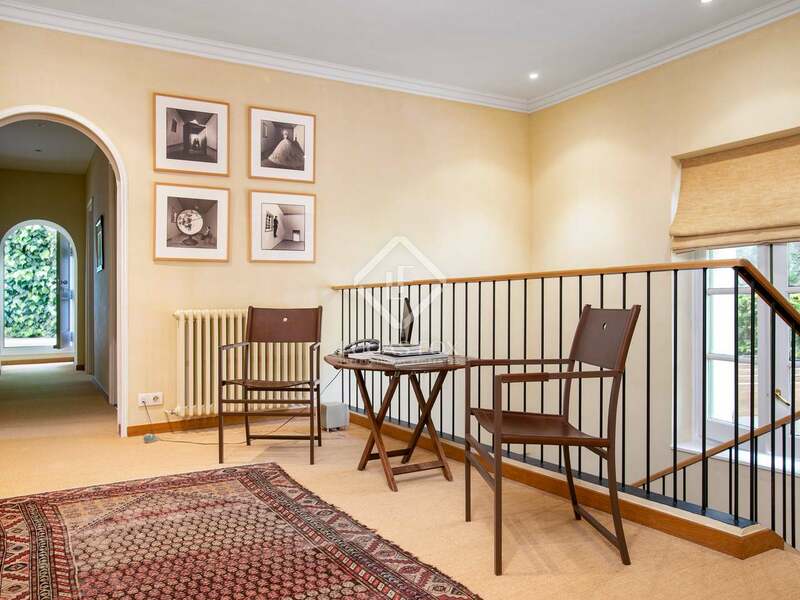 The second and third floors of the tower are accessed via an external staircase to the rear of the house and require complete renovation to be usable, offering potential for interesting and flexible additional space. 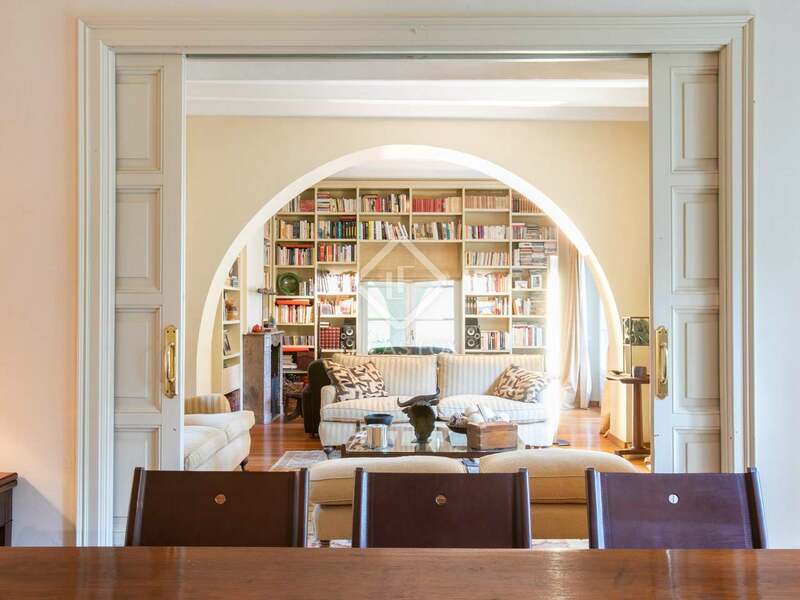 We enter the main house via a very large hallway that leads to the principal living room, to the dining room and to the reading room, all with access to the outside through patio doors. 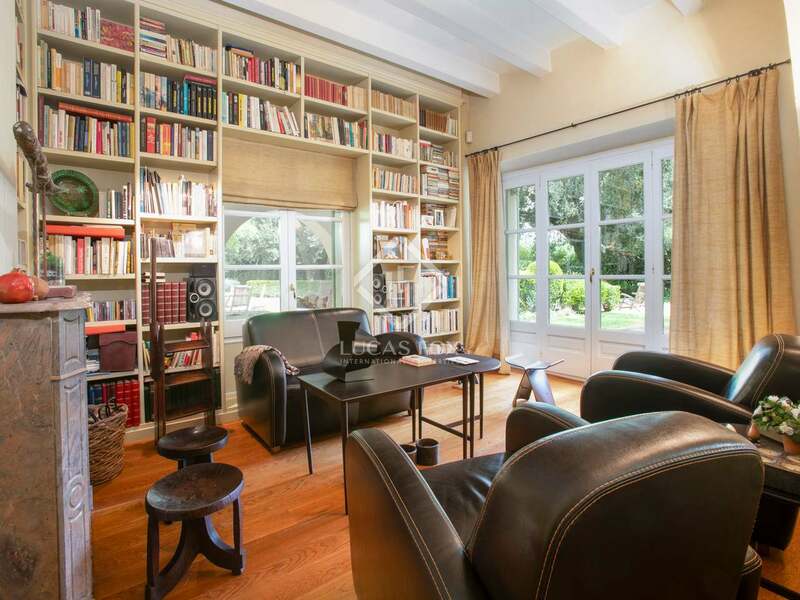 Both the dining room and the reading room have a fireplace and are wonderfully bright and spacious. 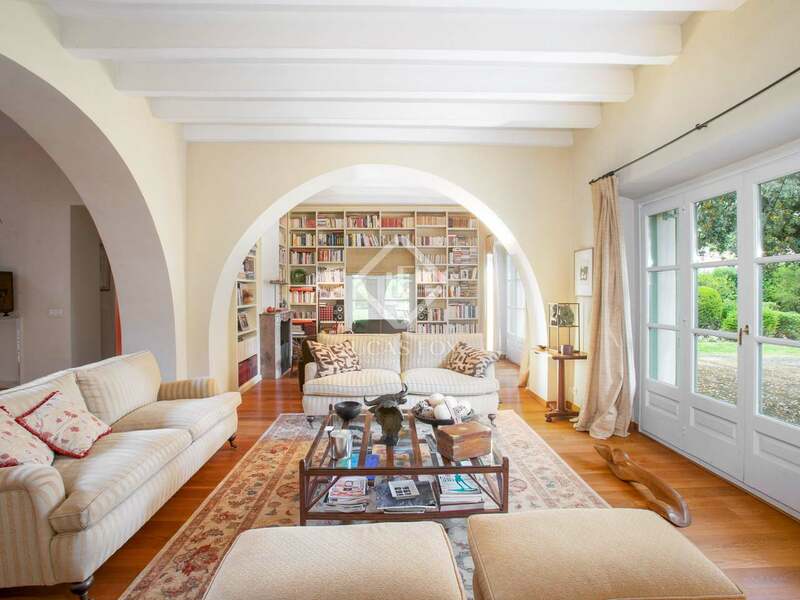 The floors on this level of the home are finished with oak wood boards and an underfloor heating system. On this floor we also find a guest bathroom, a large equipped Bulthaup kitchen with an informal dining area and access to a pretty porch with arches; ideal for summer lunches in the shade. 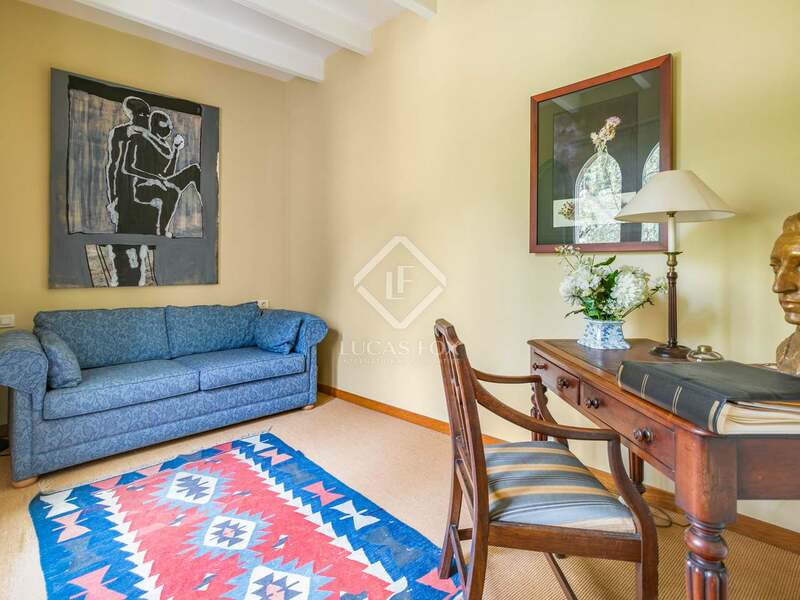 On the first floor a lounge separates the master suite with its complete bathroom (shower and bath) and a nice office with a fireplace and air conditioning from the remaining 3 double bedrooms, 2 bathrooms and a utility room. 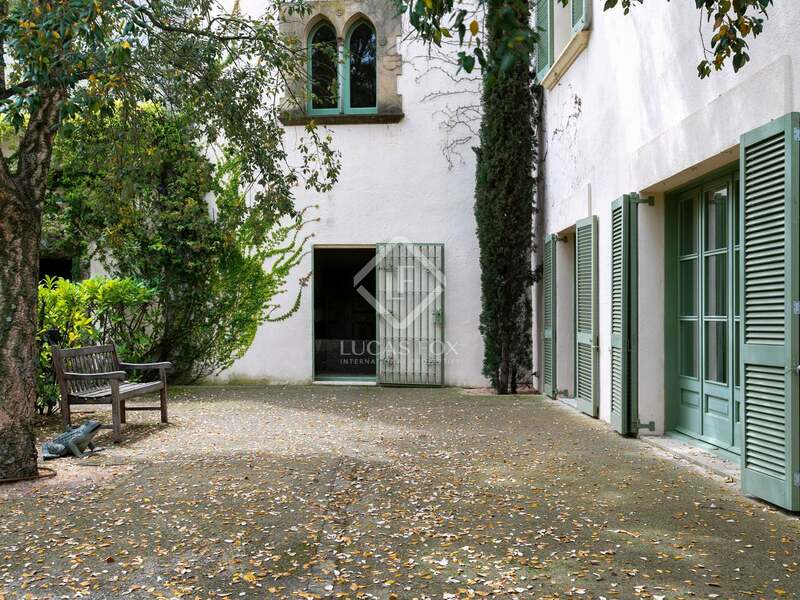 This floor is connected to the previously mentioned living room and a porch on the first floor of the tower. 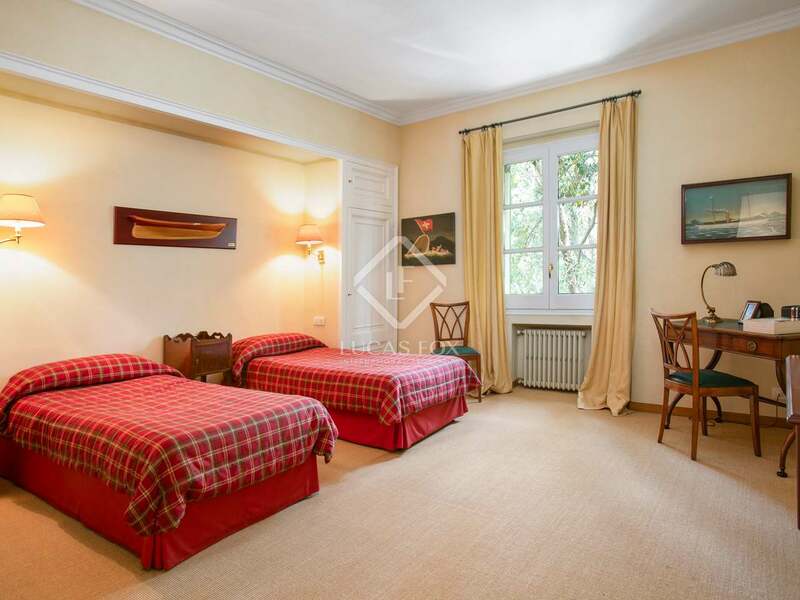 The second floor (the attic) consists of a large TV room and a bedroom with its own complete bathroom and separate kitchenette. 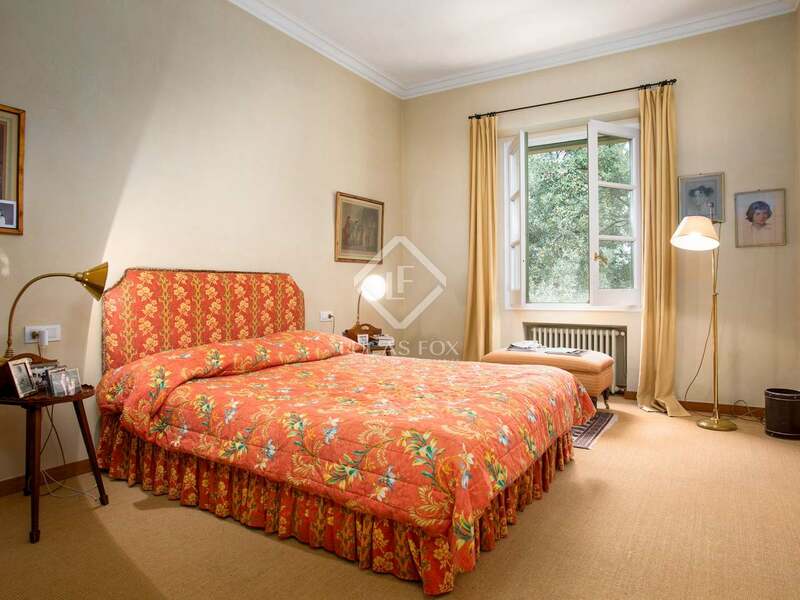 This would make excellent accommodation for guests or an independent family member for example. 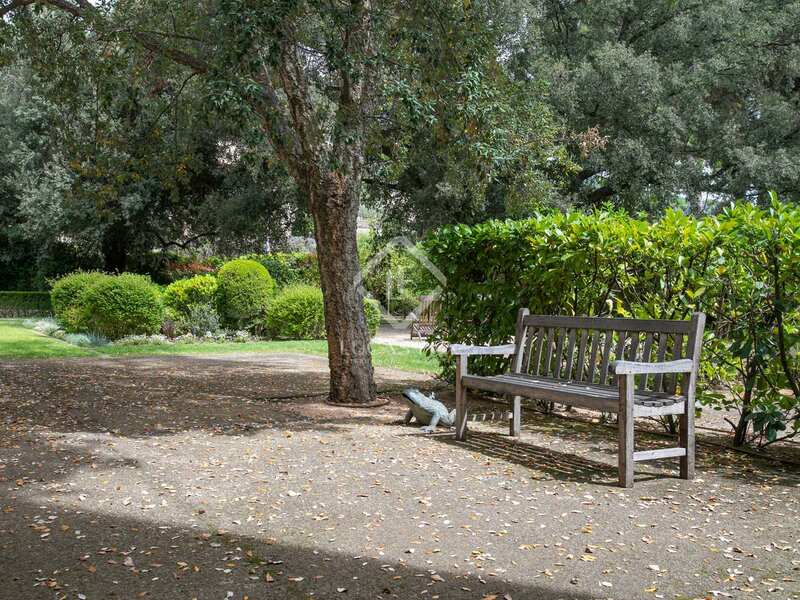 Finally, there is a parking space for 1 car. 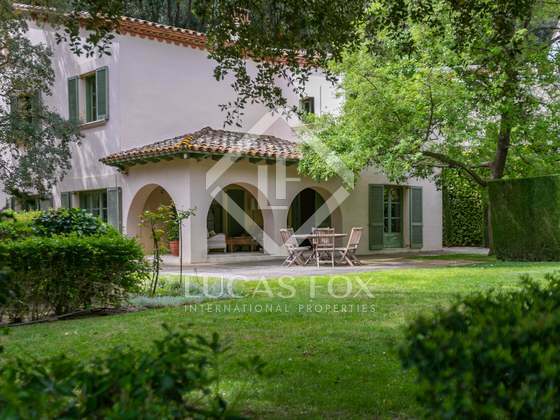 Views of the forest add to the rustic charm of this fantastic house and offer the tranquillity and privacy required for a great quality of life, close to amenities, the beach and within easy reach of Barcelona City. 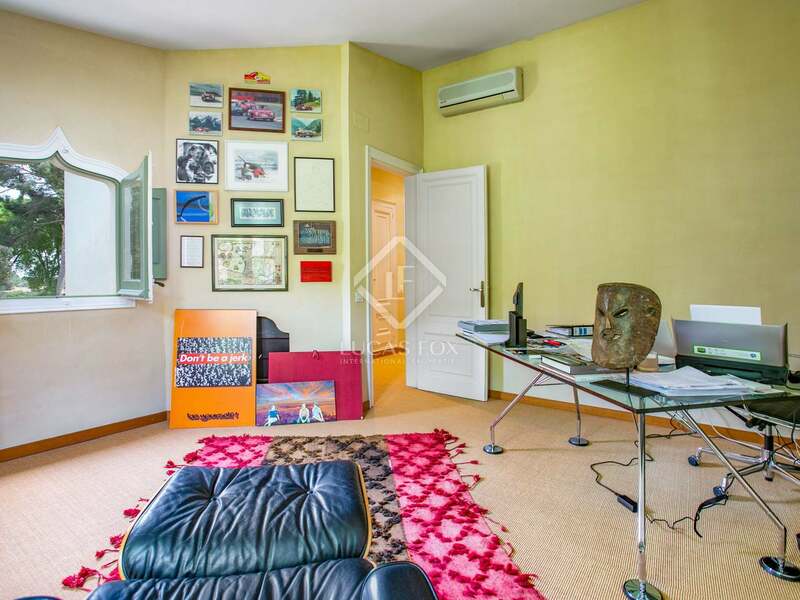 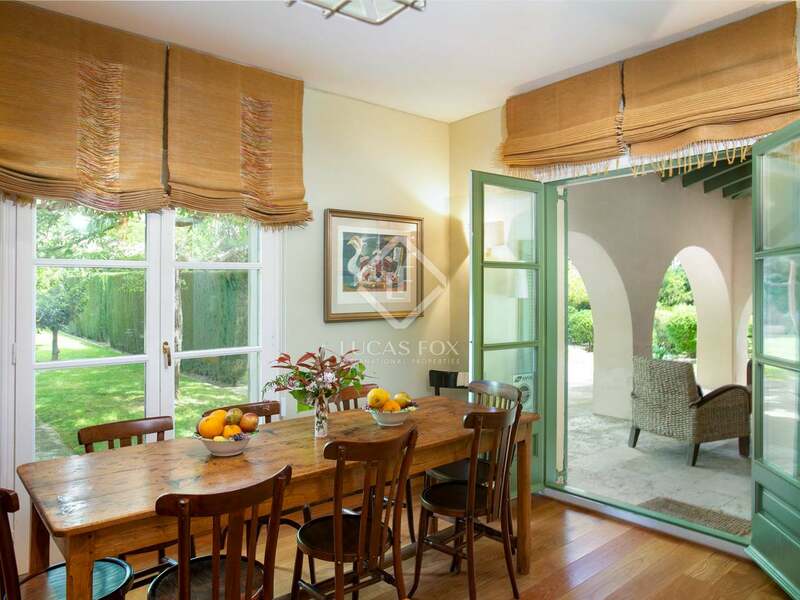 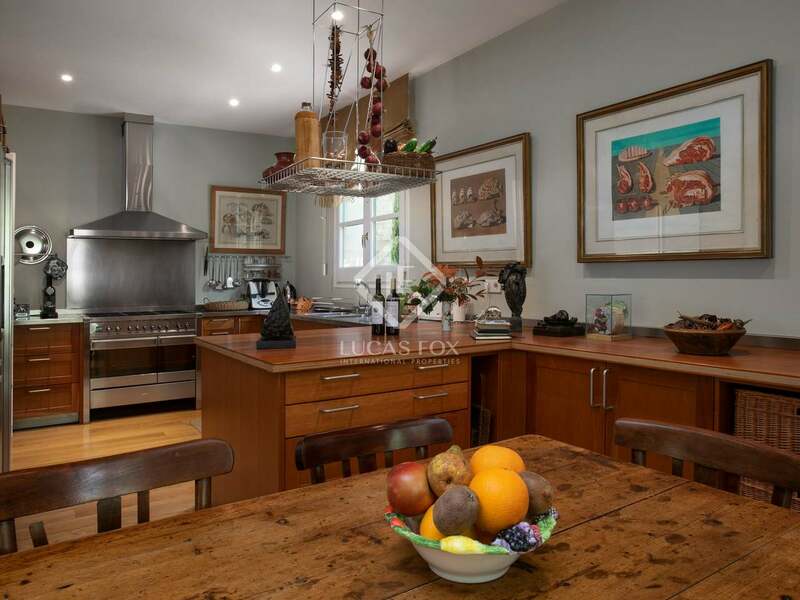 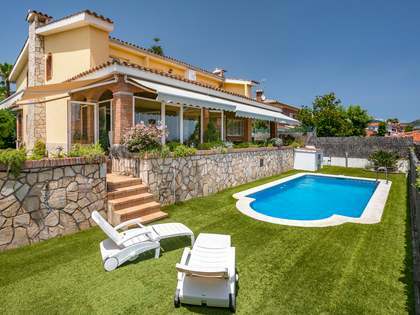 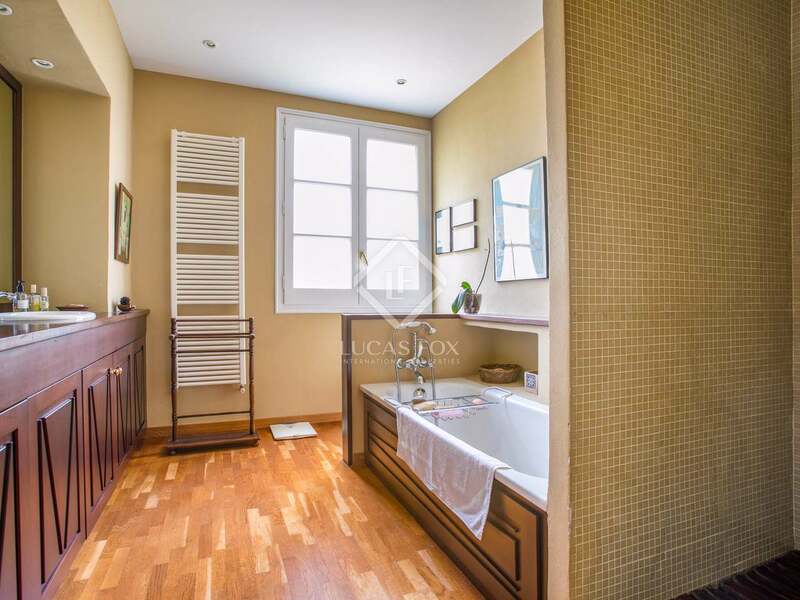 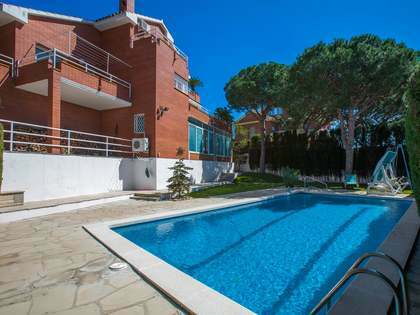 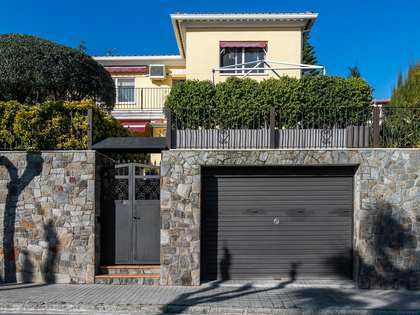 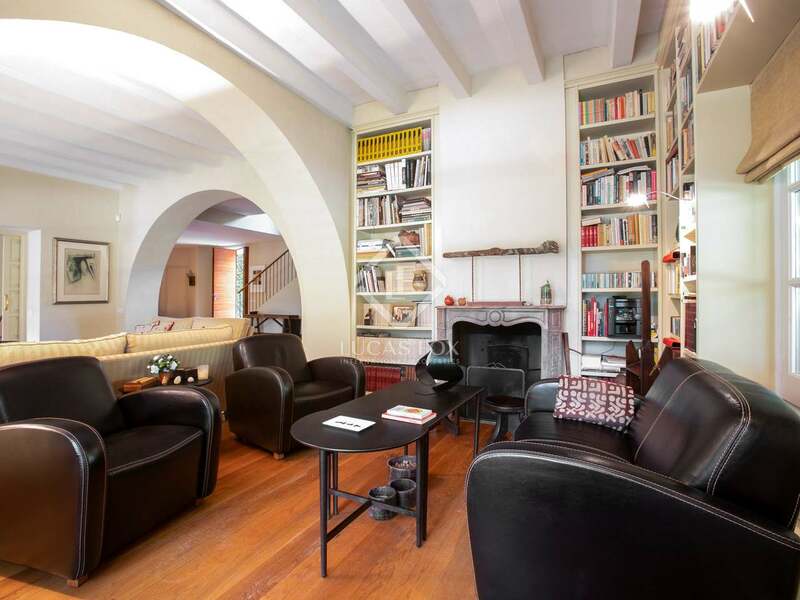 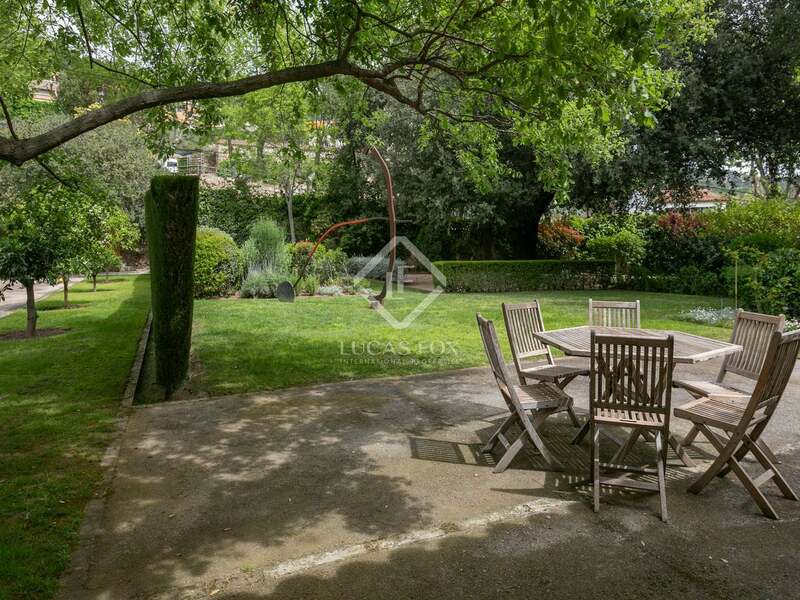 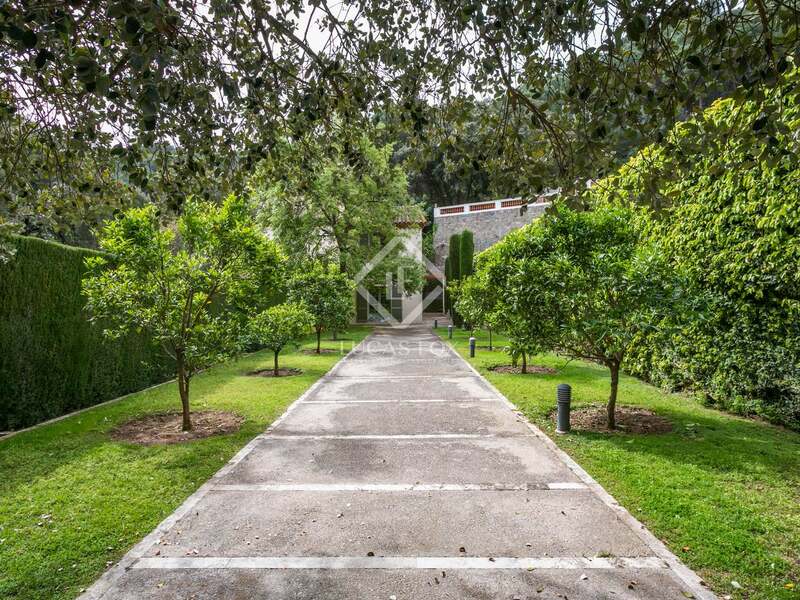 This property is very close to the village of Premià de Dalt with all of its services, 5 minutes from the Serralada Litoral Natural Park and just minutes from the coast.